Some genealogists have been confused about whether to include source citations in research report introductions and summaries. SpringBoard is pleased to offer clarification of this question by the expert on genealogical source citations. It’s a fact of life. In a world governed by laws and standards, rules for one aspect of life often collide with rules for another. So it seems with the research report by which we genealogists chronicle each block of research we do. A research report has one basic goal: to provide written documentation of the research process we executed, the findings we developed, and the conclusions we reached. As a work product, a research report is expected to achieve an appropriate balance of both writing skills and documentation skills. Each of these two skills is governed by one fundamental concept. For simple, direct evidence, that “fact” or assertion can be supported by a simple source citation. For more-complicated evidence, our conclusion must be supported by a proof argument or a proof summary. then say what you’ve said. A good research report will embody both concepts. However, report writers sometimes perceive a conflict. As a step toward understanding the issue, let’s outline the two types of work products. Give readers the most-basic information needed to understand the subject. Tell the reader what our research will prove. Present our findings and analyses that, all together, make the case for what we said we would prove. Support each “fact” or assertion with a citation to a credible source. Issue a call-to-action if appropriate. Background: the who, what, when, and where that we will be researching—i.e., the essentials about the problem that readers need to know. Executive Summary: an easy-to-find and quick-to-grasp overview of the results of the research—positive and negative; often presented as a bulleted list of conclusions. Present an item-by-item account of what we have searched, what we did or did not find, whatever significant problem or anomalies we encountered, and the conclusions we have drawn from this body of evidence. Support each abstract or transcript with a citation to the record; document each contextual “fact” we add from general study; and provide a proof argument for all conclusions we reached from indirect, complex, or conflicting evidence. We may or may not attach image copies of records, with citations on each image and a cross-reference in the report. Make suggestions for future research based upon our latest findings and conclusions. Both types of writing have the same essential needs. Both follow the same pattern. It’s a pattern we see in a variety of educational venues, from journal articles that often begin with extracts or abstracts, to textbook chapters and conference syllabi that often begin with bulleted lists of key points. If every statement of fact must have a citation of source, then every fact asserted in the introductory background and executive summary must also carry documentation. Given that the purpose of the background and the summation is to provide an easily digestible recap of main points—and given that research conclusions are based on the whole body of evidence—then providing citations for any assertion in the introduction is possible only when a point is based on simple direct evidence. Even then, in the background or the summation, the totality of the citations could easily overwhelm what is supposed to be a simple recap at the start of the report.When our summary points are based on extensive and complex evidence, “documentation” of each point would often require a lengthy discussion of how that conclusion was reached. That discourse and all the citations necessary to support it would strip the introduction of its core function: a quick summation of the main points the paper will develop. As genealogists who strive to meet all standards, do we violate the documentation rule when we summarize background facts or briefly recap conclusions in our introduction? each conclusion the genealogist establishes. Standard 2 does not state that each fact or conclusion must repeat its citation or its supporting proof argument each time the point is mentioned. Each part of our research report has a specific function. The presentation of documented evidence is the function of the body of the report—the section typically labeled “Research & Findings.” The function of the introduction is to provide a directory or a road map of what’s to come, so our readers will not be lost in the maze of evidence that the body of the report presents. 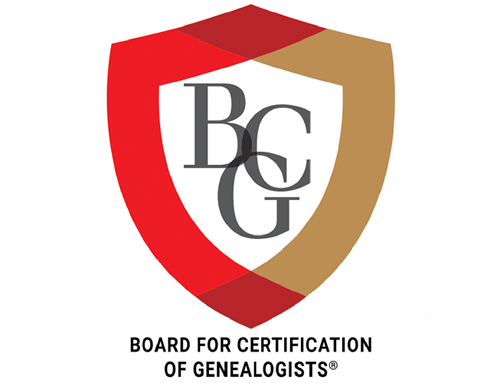 Summarized from Board for Certification of Genealogists, Genealogy Standards, 50th Anniversary Edition (Nashville and New York: Ancestry Imprint, Turner Publishing, 2014), Standards 1–3, 53. For example, in the introduction, the set of “facts” we assert for a problem person might be simply cited to the client’s file or letter or to a prior report. Genealogy Standards, p. 6, Standard 2: Specificity. For additional guidance on the creation of research reports, see Elizabeth Shown Mills, “QuickLesson 20: Research Reports for Research Success,” Evidence Explained: Historical Analysis, Citation & Source Usage (https://www.evidenceexplained.com/ : posted 23 May 2015).